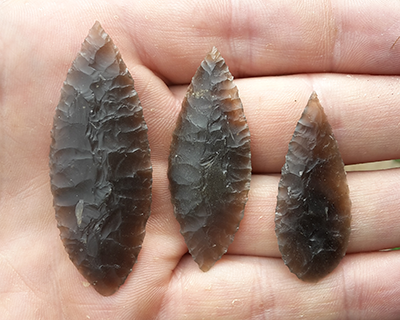 Flint arrowhead necklaces – Flint tools are the thread that tie the prehistoric periods together and give us a coherent technological time-line to follow. 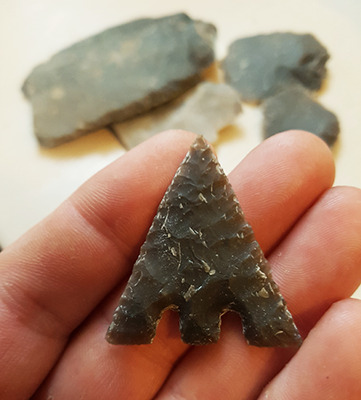 Therefore, these little works of art are the perfect gift for anyone with an appreciation of the past, and the craftsmanship of our ancestors. 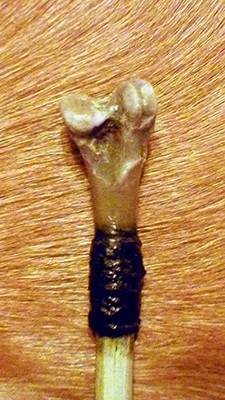 Hand made with all natural materials. 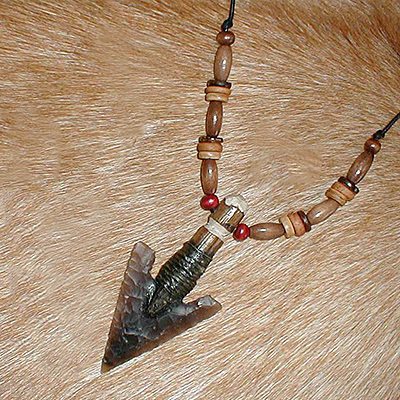 This variation is a smaller knapped flint arrowhead and strung with beads. Makes an unusual and beautiful gift for anyone! Please select the material you want above. Given the hand crafted nature of these necklaces, each one is unique and will vary slightly from the picture. 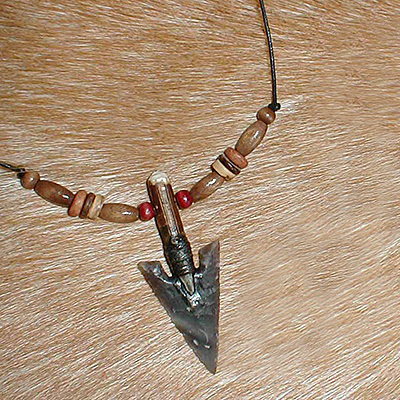 Be the first to review “Small flint arrowhead necklace” Click here to cancel reply.